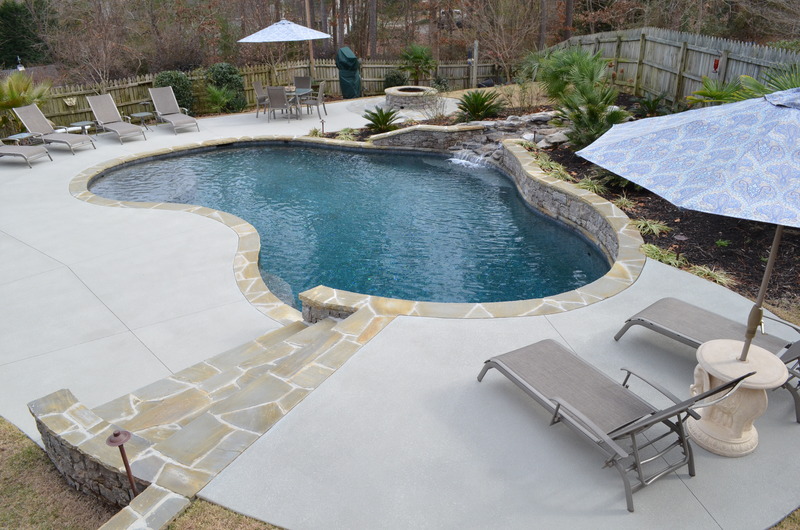 Pete Alewine Pool & Spa is excited to now be installing in-ground fiberglass pools. 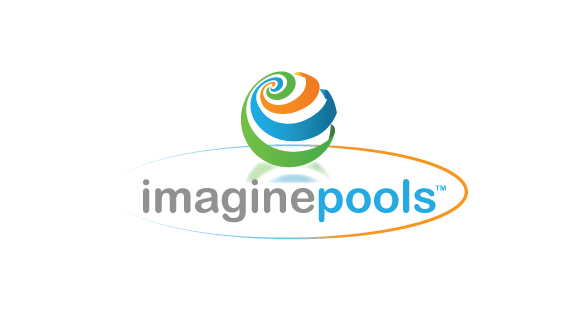 Partnering with Imagine Pools, Thursday Pools and Viking Pools, the leading fiberglass pool manufacturing companies in the industry, Pete Alewine Pool and Spa offers a wide variety of fiberglass shapes, sizes and colors to fit any backyard. These state of the art designs come with a lifetime warranty and the comfort of knowing that it will be installed by our experts. 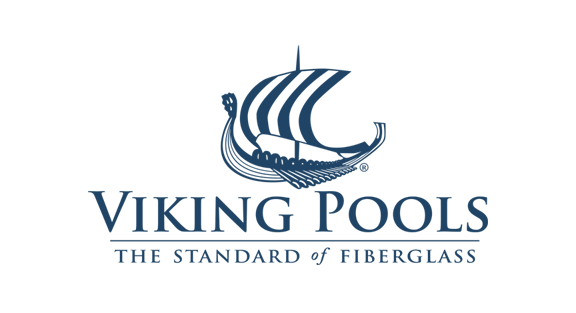 Click either logo below to learn more about each company and take a look at the different fiberglass designs available. 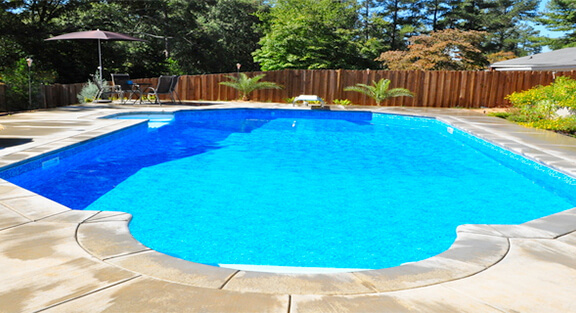 Interested in a Pete Alewine installed fiberglass pool or just want a little more information? Set up a free consultation today. Spray Decking – $5.00 per sq. ft. Concrete Scoring – $3.00 per sq. ft.
Salt Pitting – $1.00 per sq. ft. Extra concrete – $4.75 per sq. 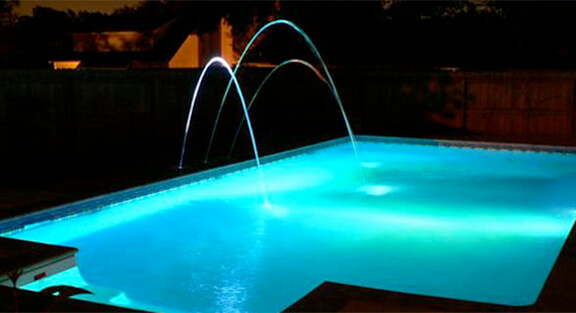 ft.
Pete Alewine Pool Company includes an underwater pool light in every pool package. Our upgrades include adding an additional light or trading up to an LED light. LED lights use less energy, provide 5 different color options and 7 pre-programmed light shows. 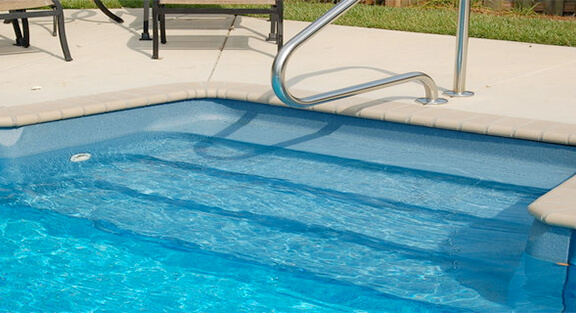 Pete Alewine Pool Company offers an aluminum handrail addition for steps and beach entries into your swimming pool. Powder coated hand rails are also available if you are looking for an option other than the traditional aluminum color.